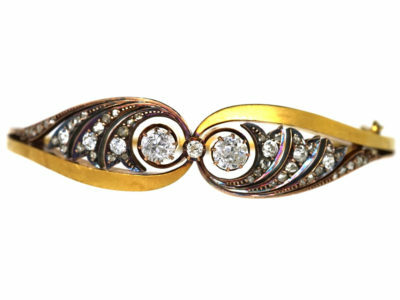 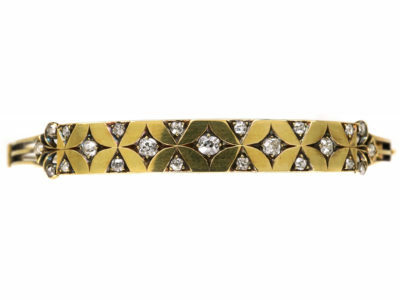 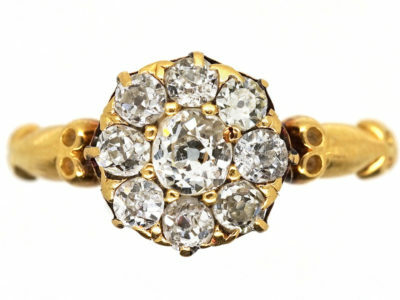 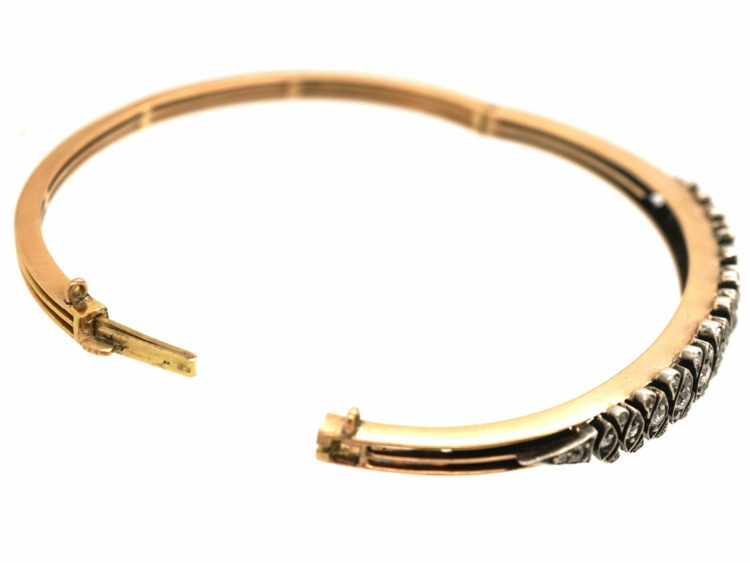 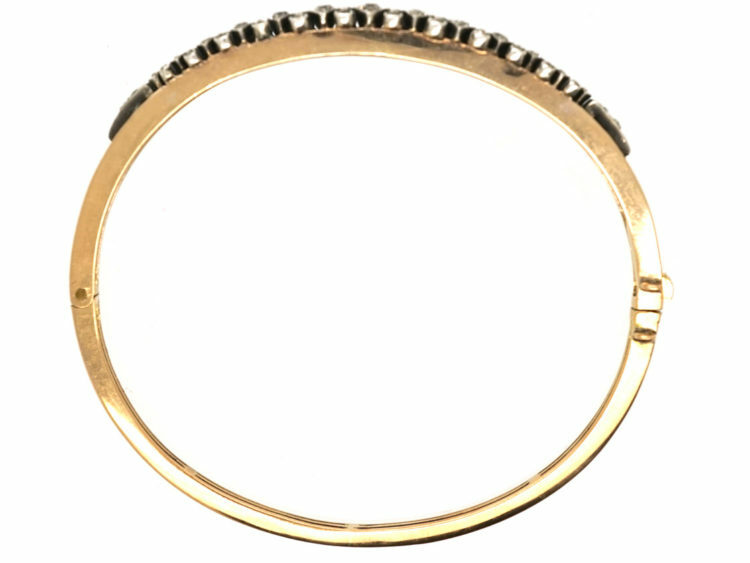 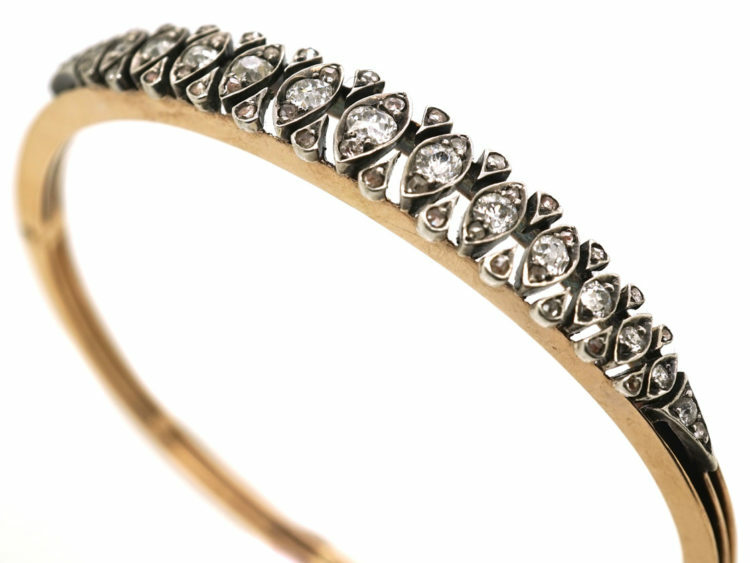 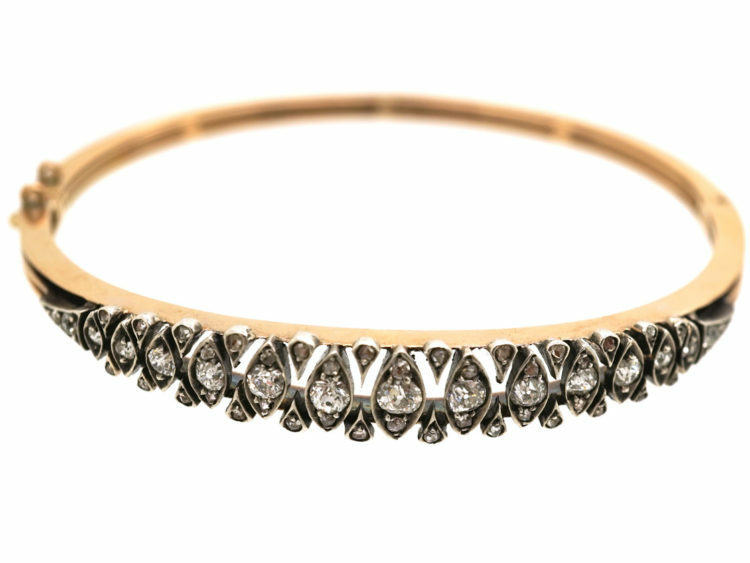 A very pretty 15ct gold bangle that was made circa 1901-1910. 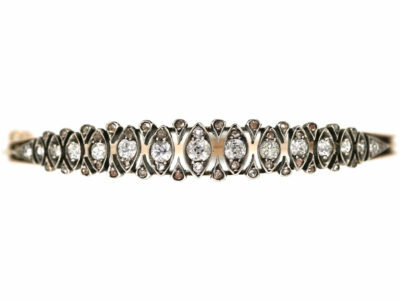 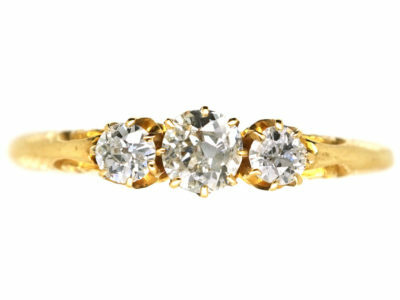 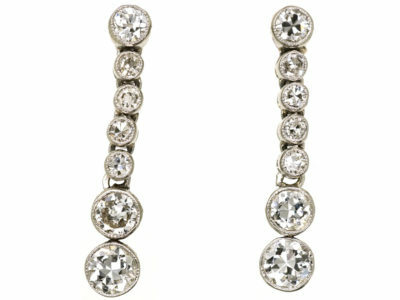 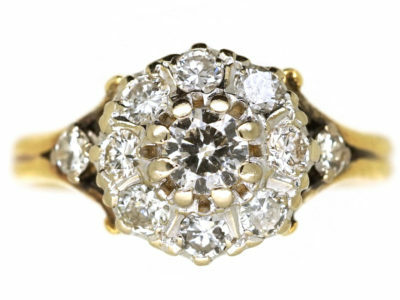 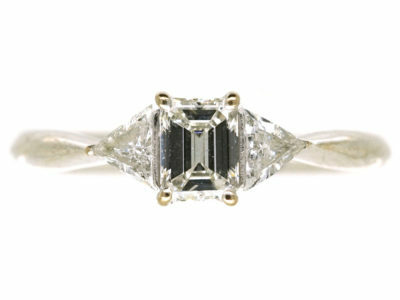 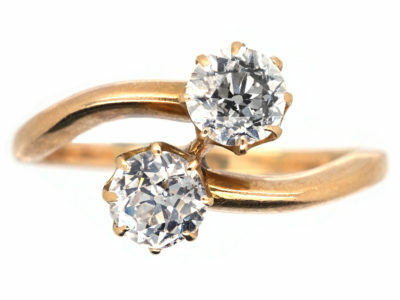 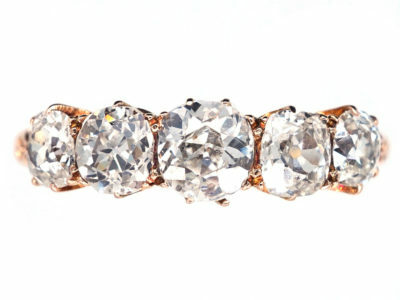 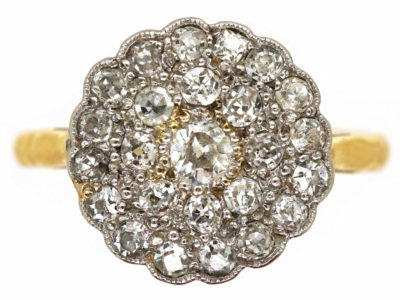 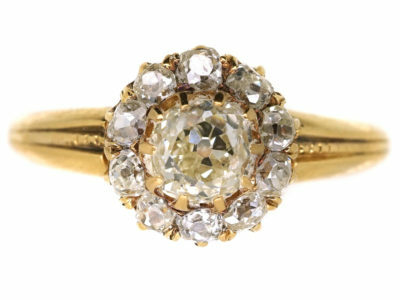 It has been set with old mine cut diamonds and rose cut diamonds in a silver setting. It is a lovely finely detailed pierced work design that looks so light and beautiful. 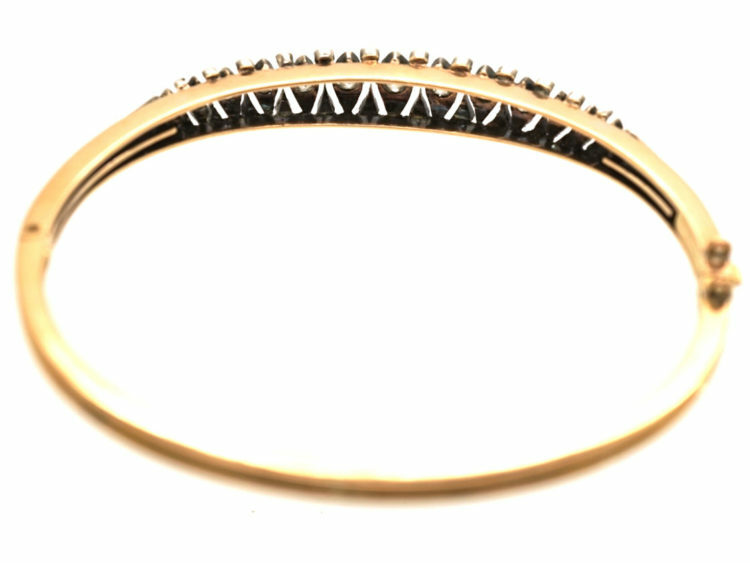 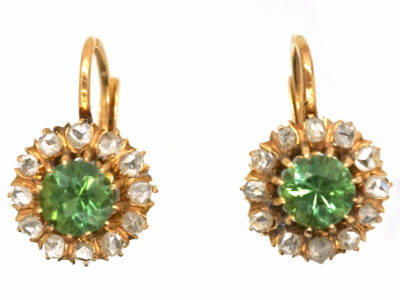 It is a striking piece of jewellery and would make a wonderful gift.